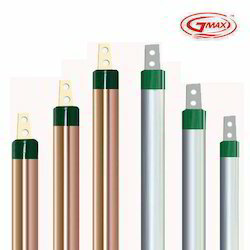 Emax Earthing is important in any electrical installation to give safety gmax are biggest manufacturer of comprehensive ranges of best quality electrical earthing electrode those are extensively used in earthing systems. The qualities of a good GI Earthing system include low electrical resistance, good corrosion resistance, and ability to dissipate high fault current repeatedly. 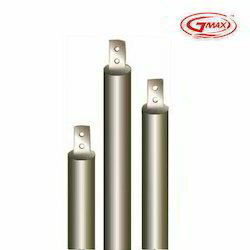 Gmax is manufacturer of grounding gel, heavy duty lightning protection rod, ground enhancing backfill compound, industrial lightning protection rod, earthing electrode, copper earthing electrode, advanced earthing electrode, electrical earthing electrode, chemical earthing rods, copper bonded earthing rods, copper bonded electrodes, ese lightning protection system, gi earthing electrode, earthing pit cover, gi earthing electrode backfill rod, complete earthing material, back fill compound gel, grounding system, chemical earthing electrode, , electrical earthing equipment, copper bonded ground rods, copper grounding rods, copper clad rod, copper earthing rod, building lightning protection rod, transient surge protector, data line transient arrester, transient arrestor, surge protection devices, coaxial surge protection device, voltage surge arrester, bnc connector, signal surge protection, electrical surge protection, photovoltaic surge protector, solar cell protection circuit, solar surge protection device, switching protection devices, telephone line surge protection, telephone line protection, telecommunication surge protection device, phone line surge protection, signal surge protector, lightning surge arrestor, switching surge arrester, single phase surge arrester, 3 phase lightning surge arrester, lightning surge arrester, advanced earthing solutions, chemical earthing system, earthing backfill compound, exothermic welding system, exothermic weld, exothermic welding moulds, exothermic welding graphite mould, lightning protection system, ese stainless steel lightning rods, early streamer emission air terminal, earthing arrester, spike lightning conductor, gel earthing electrode etc. GMAX Pipe In Pipe design incorporates the use of two pipes of co-axial diameters joined together for enhancing the service life and performance of the over all earthing system. The cavity in-between the electrodes is filled with crystalline conductive compounds CCM for current dissipation and anti corrosive properties. 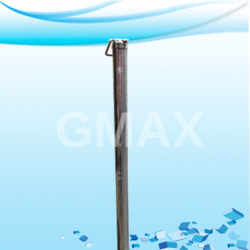 GMAX electrode cross section has to be circular 360 DEGREE for the uniform distribution of fault current all around from electrode to earth. 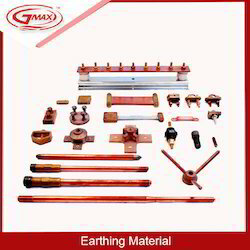 We are identified as the leading names engaged in manufacturing and supplying of GI Earthing Electrode that imparts low independent earthing, the offered electrode is manufactured with finest quality corrosion free material. 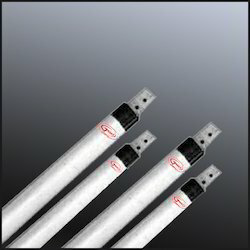 This electrode is widely demanded in chemical industries where earthing system is needed. In addition to this, our quality controllers firmly check the quality of electrode as per the set parameters of quality. 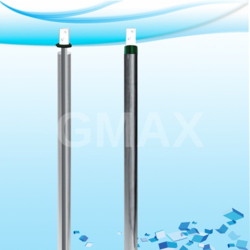 GMAX Chemical Gel Earthing Electrode: GMAX Leveraging on our years of industry experience, we are instrumental in manufacturing and supplying Chemical Gel Earthing Electrode. 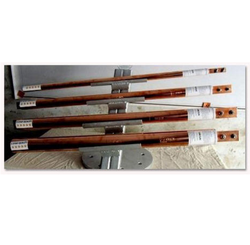 Offered electrode is used for earthing owing to its excellent electric conductivity and durability. We used only quality-approved raw materials to manufacture these electrodes so as to make these suitable for use in commercial or residential areas. 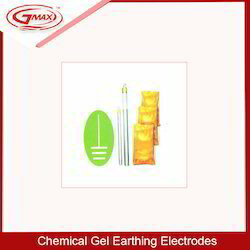 We properly check offered Chemical Gel Earthing Electrode on different quality parameters to remove any kind of defect. Gmax would like to introduce ourselves as a successful manufacturers, traders, suppliers, exporters, contractors and consultants of Chemical earthing products. gmax Chemical earthing equipment are required during the installation of electrical appliances to avoid hazardous conditions related to fault currents. The application of these equipment ensures protection against touch voltage and improves the quality of signal by reducing electromagnetic noise. The salient features of our products are their long service period, advanced mechanism and unmatched quality. 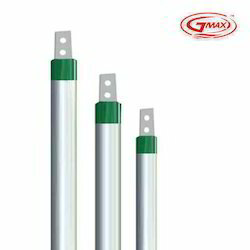 Gmax are also reckoned for our on time product delivery service.gmax also mfg.gel earthing,lightning arrestor,exothermic welding product. Owing to the competency and knowledge of our deft professionals, we are offering a comprehensive array of Copper Earthing Rod. Our skilled professionals make use of the finest quality copper and advanced technology to manufacture the provided rod. 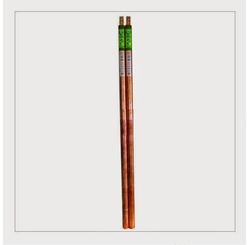 Ability to carry high currents repeatedly, this Copper Earthing Rod is best suitable for preventing from the damage of lightning effect. 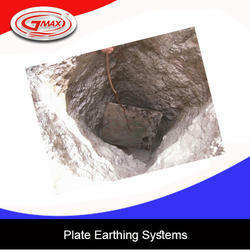 Gmax is engaged in offering a range of Earthing Material to our clients. These are fabricated at our vendors' end, using premium quality carbon steel. By using the high-grade raw material, we make sure that our products are high in terms of tensile strength and functionality. The range offered by us is made available at competitive prices, suiting budgetary constraints of the clients. Our complete range is as follows earthing pipe, earthing plate, earthing funnel, earthing met, earthing electrode. 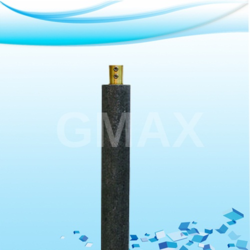 We are the manufacturer of Graphite Earthing Electrodes. 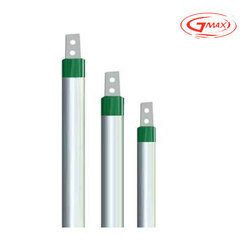 We are the manufacturer of Gel Earthing Rod. Looking for GI Earthing Electrode ?